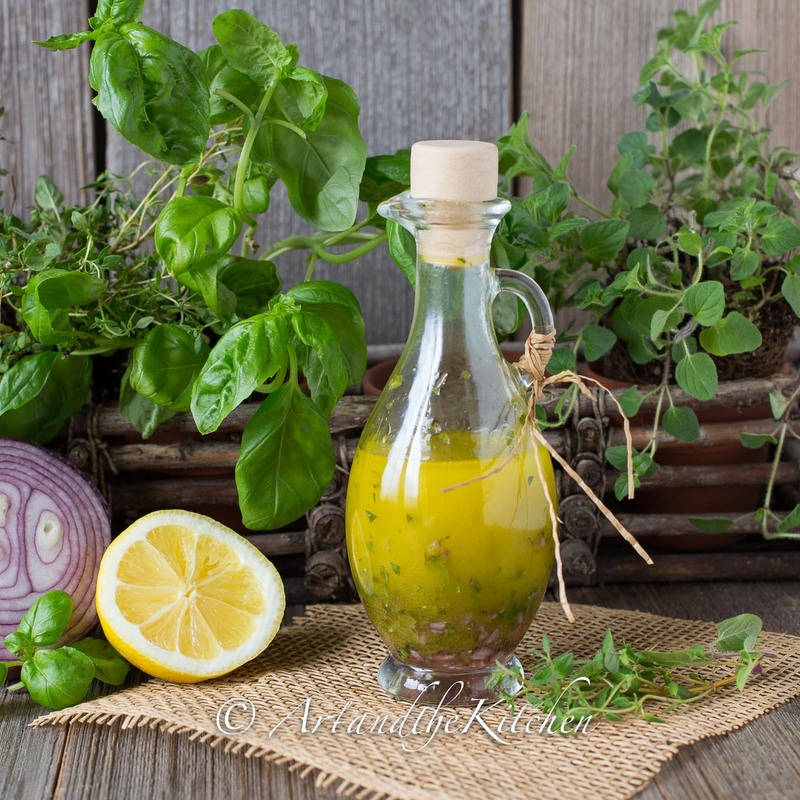 Growing your own herb garden is perfect for having fresh snipped herbs always on hand for making your own dressings. 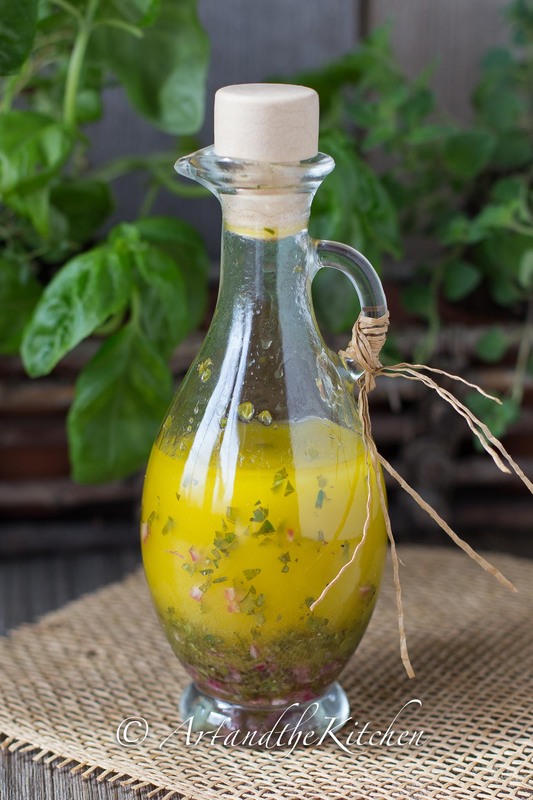 This recipe for Fresh Herb Italian Dressing is light, refreshing and packed with flavour. I love growing fresh herbs, preferably outdoors in my garden, but up here in Canada that would eliminate growing fresh herbs for about 8 months of the year! So during our winter months I grow them in small containers that sit by my kitchen window. Although the herbs don’t grow as well as they do outdoors, it is still better than buying store bought fresh cut herbs that never last more than a couple of days. I know its silly but snipping fresh herbs from my garden to prepare a dish makes me feel like an accomplished chef. For this recipe I blended a combination of basil, oregano, thyme and Italian parsley. A fine quality olive oil is a must and well worth a few extra dollars when making homemade dressings. Try this dressing on my Cucumber Salad Bites. Homemade Fresh Herb Italian Dressing is light, refreshing and packed with flavour. Mix all ingredients together in bowl and whisk to combine. A small jar also works well. Combine all ingredients together and shake well. 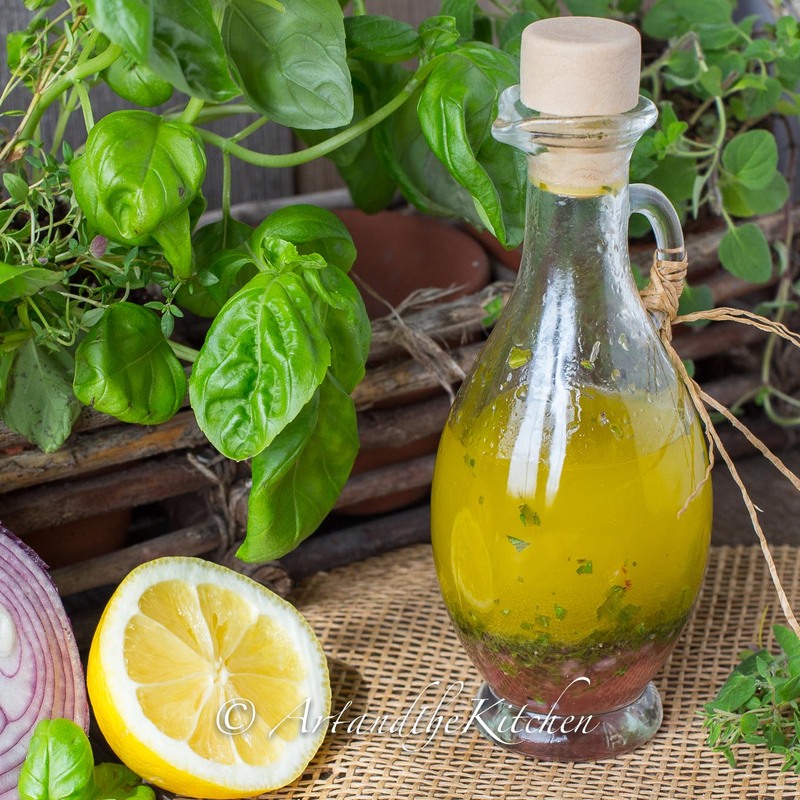 Allow at least 30 minutes before serving to allow the flavour of the herbs to infuse the oil. Serve with your favourite salad greens.